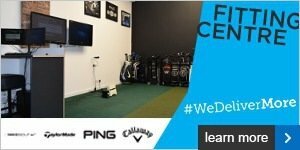 Mizuno fitting day - get booked in! What do you do when the season ends? The DNA Fitting Cart is here! January hardware sale at Herons' Reach! Booking tee times is even easier! Improve Your Winter Golf Part 1…. Why not treat someone to a better golf swing this Christmas? Black Friday Savings at Herons' Reach! Do you know your stroke? Will we hear the roar once more? Take the Herons' Reach Members Golf Challenge! The longest hole in history! Away day and presentation night. Are you coming? Can we make it a club double for Herons' Reach..? What a great Club Championship! It's been a week of records! Majors are won on the practice ground! Our meet the pro session is a week away. Are you coming? Dates For Your Diary - Captain's Day & FREE Coaching Sessions! Big Winter Winner at The Belfry! Don’t miss out on this exceptional weekend at Herons Reach..
Do You Want to Be In Next Week's Newsletter? Huge Announcement – The Race To The Brabazon Is On! Is Your Golfing MOT Due? Maybe 58 is the new 59? Are you ready for the months ahead? The season is back underway! Let the festive cheer begin..
Don’t miss out on the Festive Scramble..
We are starting almost a week early..
Don’t miss out on this great event.. There is no better time to do so..
Captains Challenge 2016 was a great success..
Portugal bound for Justin and Brad..
Who will take the upcoming Major? Who will take major glory? End of an era for Alastair…. End of an era for Sam Mellor..
Don’t miss out on this fantastic opportunity.. Double delight for the Herons’ Reach duo..
A big four weeks for competition golf..
We welcome Jake Dudley to the team..
A great start for the Herons’ Reach golf teams..
It’s beginning to look a lot like summer..
Norman Heywood & Danny Willett make the perfect duo.. The Masters weekend is here. Cost Price Clearance Sale Today..
A farewell to Captains Chris and Dana…. A two way tie with a 59! Everything is on course for the season ahead.. There is only one week to go.. The new season is fast approaching..
A fantastic week at Herons’ Reach..
Daryl made the change.. Will you? Happy New Year from Herons’ Reach Golf Club..
A fantastic year for Herons’ Reach.. The festive spirit is in full flow at Herons’ Reach..
Putt your way to a successful 2016..
A weekend not to be missed..
An innocent Paul takes the prize! Save a wedge on our November promotion…. Everything is on course for the winter season ahead..
A great finish to an excellent season..
Herons’ Reach Golf Team: Don’t miss out on a fantastic evening..
An exciting month ahead for Herons’ Reach Golf Club..
Jack O’Connell takes the Seniors Club Championship in style..
Father & Son top the charts at Herons' Reach..
Can anyone stop Mr Audis completing the grand slam..
Chris O’Keeffe Memorial Golf Day was a fantastic occasion..
Herons' Reach Golf Team: Don’t miss out on this fantastic opportunity..
A busy week for Herons’ Reach Golf Club..
Mr Prewett enjoys his Captain’s weekend away..
Club Championship weekend has finally arrived..
A great week for team Herons Reach..
A thrilling Scramble that was decided on a strong finish..
A fine 'hat trick' for Whitty! It’s time to meet the Captains’..
Could you gain an extra 20 yards like Club Captain Chris Prewett? The course is close to perfection.. 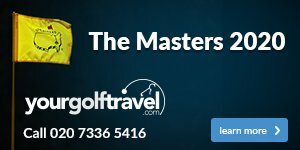 The wait is over the Masters is here..
New season, new beginnings, new products..
Greg and Matt come out on top..
Winter League hots up with just 2 games to go..
We have some sad news.. The Winter League is hotting Up with Greg and Matt at the top! Who said 59 was the magic number in golf?! Are your grips ready for the upcoming season? Would You Like To Join The Wall Of Fame? Who lit a rocket underneath Steve and Dave this week? Is your name down for the Srixon ball fitting and half price charity golf day? So long, farewell, Auf Wiedersein...Goodbye!